Do you need to get more sleep? Better sleep? Yep, join the club! For most of us, relaxation and truly restful sleep is something we are always talking about needing more of. Perhaps restless nights are the problem, or perhaps it’s insomnia. 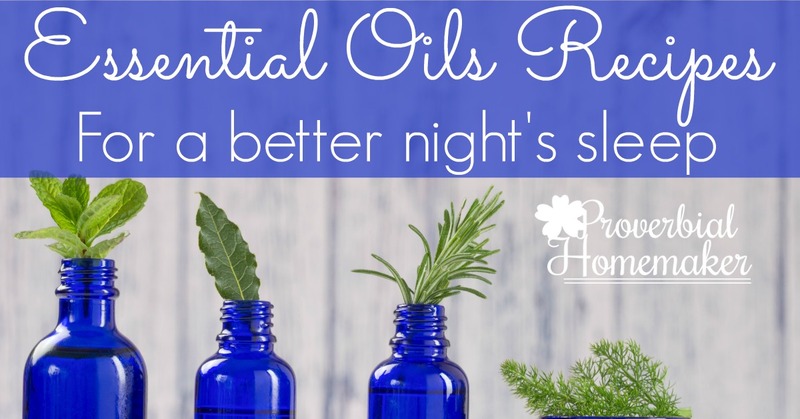 Either way, here are 14 essential oils for better sleep that will help! Plus a few great recipes to help you get started with them. Lavender, Bulgaria – Herbaceous floral aroma promoting general mental and physical well-being and restful sleep. Dreamtime – Strong floral aroma, helps with solid sleep and more lucid dreams. At Peace – Bright and fresh aroma helps uplift your mood and ease feelings of fear, anxiety, and stress. Frankincense, Carterii – Woody and citrusy aroma supports respiratory, nervous, and immune systems. Calming and comforting. Blend of Rose – Calms nerves and emotions, promoting rest and ease. Beautiful floral scent. Orange – Sweet and refrshing yet calming aroma lifts the mood and supports immune system. Calming – Fruity aroma that can promote relaxation and help you sleep at night. Hyssop – Sweet and herbal aroma balances mood and supports respiratory system. Clary Sage – Musky, herbal, and warm aroma lifts mood, is calming, and supports immune system. 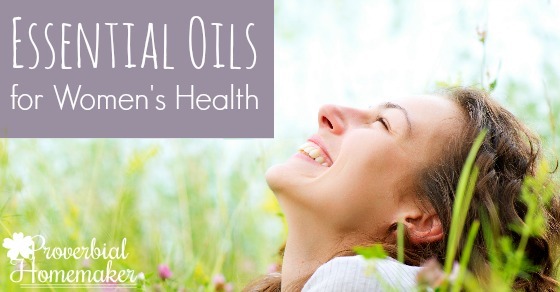 Click here for more ways to use clary sage, especially for women’s health. Roman Chamomile – Fresh, herbal, and fruity aroma lifts your mood, promotes sleep, and is great for sensitive skin. Bergamot – Citrusy aroma enlivens mood and supports your immune and respiratory systems. Great for de-stressing. Jasmine – Strong floral aroma is relaxing, improves mood and is great for skin care. Blend of Neroli – Strong floral aroma that uplifts mood, eases nervous tension, and supports restful sleep. Great for skin care. Counting Sheep – Formulated for children, warm, woodsy scent, calming and relaxing just in time for bed. 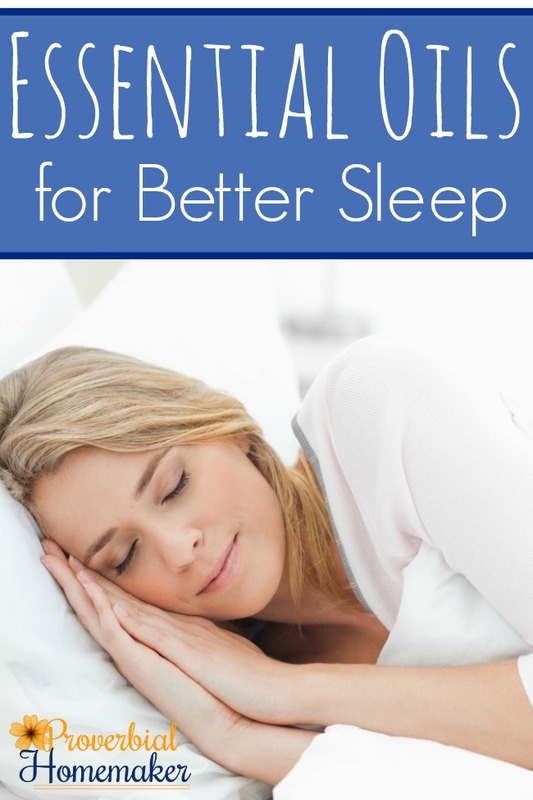 There are so many recipes out there for helping you get a better night’s sleep. These essential oils are the best that I’ve found and you can use them in a variety of ways. Here is a infographic you can pin as a cheat sheet to help you remember which ones to try. There are ready-to-go blends such as Counting Sheep, especially formulated for kids, as well as single oils that you can use to make your own blends. 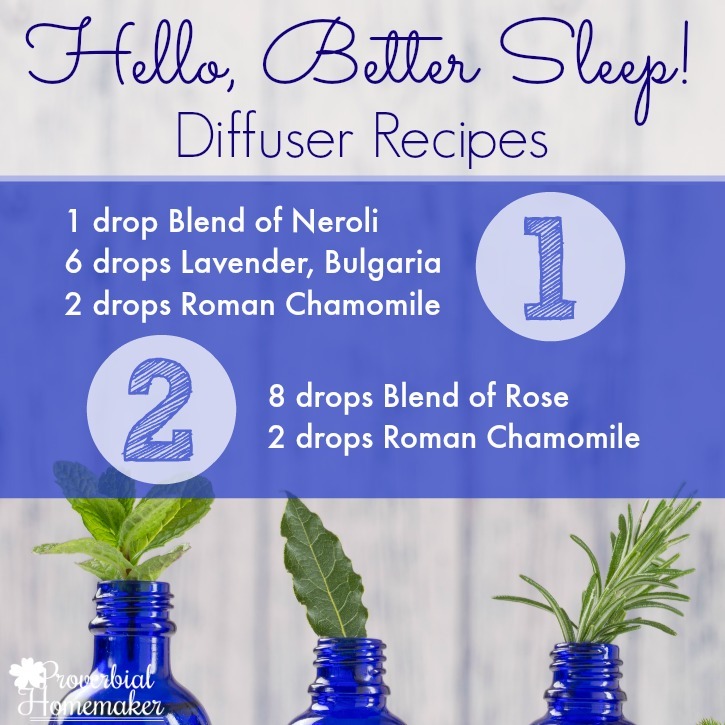 Having some good, simple recipes on hand is SO helpful when you want to get started using essential oils for better sleep. Here are my tried-and-true recipes that I know you’ll love! I’ll be sure to add more to the blog as I try them. You might also consider trying hydrosols, especially as linen sprays or for children. You can get lavender hydrosols and chamomile hydrosols, using them individually or combined for a sweet sleep blend. Just be sure to mix a fresh batch every two weeks or so if you are blending hydrosols. Add to a glass spray bottle and add water. Shake gently before each use. You can also add 2 tsp of alcohol or witch hazel, then fill with water, for a more lingering scent. Combine the oils and jojoba, and drop over the salts. Add to a bath, soak, and enjoy! 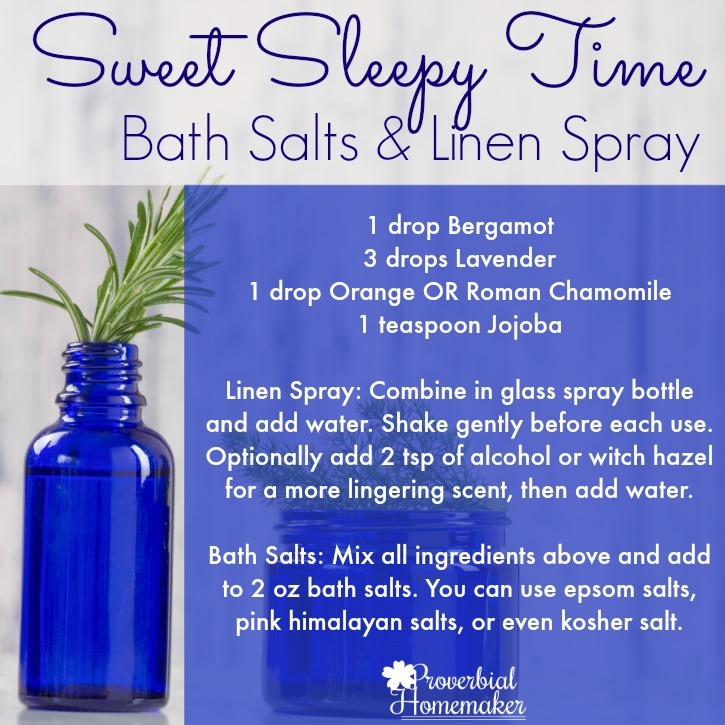 Do you have certain recipes or essential oils for better sleep that you use? Share them in the comments!